Generations of University of Rochester alumni come together through the Colony Club. The Meliora Alumni Scholarship recognizes the unique commitment that a child or grandchild of a Rochester graduate has to carry on the family tradition while also creating their own legacy. This scholarship typically awards $5,000 to $10,000 towards an undergraduate education. Once legacy students apply for admission to the University, the Meliora Alumni Scholarship application will appear in their online MyROC account. Generations of families share a special connection to Rochester. Legacy families are undergraduate students and alumni whose parents, grandparents and/or siblings, attended or currently attend the University of Rochester. The Colony Club is an exclusive opportunity for children and grandchildren of Rochester alumni and features a variety of benefits and services to enhance the application experience. Please note: the best time to enroll is during the summer of the applicant’s junior year of high school. The University of Rochester participates in this savings plan which allows you to prepay for tuition today and use it later at any of the nearly 300 private colleges and universities that are participating institutions. This insider’s guide to college is designed to be a roadmap to success and aims to demystify all that surrounds the college admissions process. Developed by The University of Rochester’s Office of Admissions & Financial Aid, this guide will set college bound students on a clear path toward pursuing an education at any selective college or university. An aspiring physician, Frisk had her sights set on medical school and was drawn to the University’s reputation as a leader in medicine and cutting-edge research as an undergraduate. 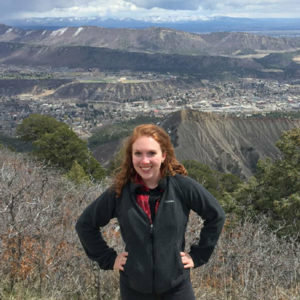 With a scholarship to offset her tuition’s cost, she seized an opportunity to study abroad in Copenhagen, Denmark, where she completed an international public health program.